Now Write! 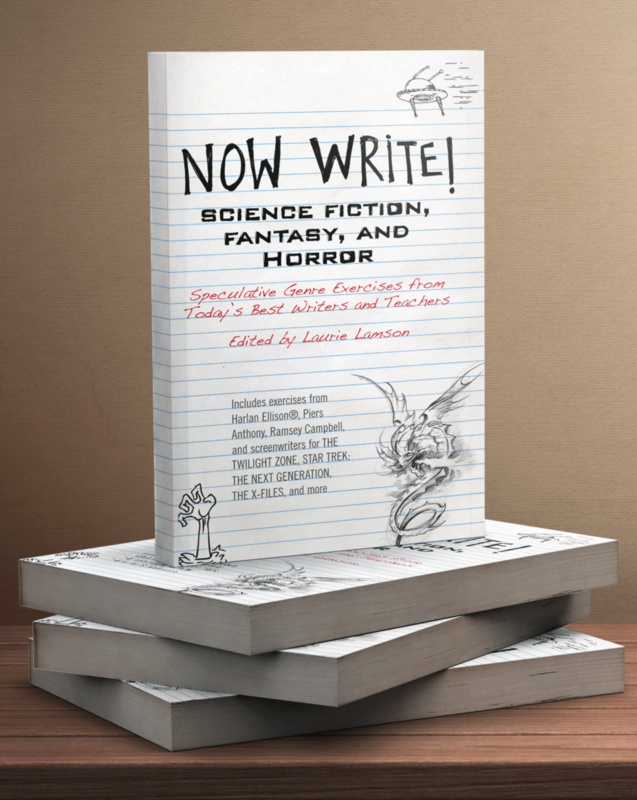 Science Fiction, Fantasy, and Horror is the fifth volume in the acclaimed Now Write! 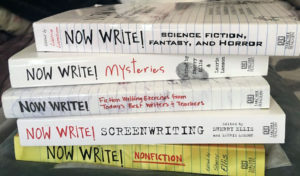 series of writing exercise books published by Tarcher/Perigee under Penguin Random House. There are 85 contributors including living-legend science fiction/fantasy novelists Piers Anthony and Harlan Ellison®, Pen Densham, the writer/creator of the new Twilight Zone and Outer Limits, surrealist author of The Girl in the Flammable Skirt, Aimee Bender, horror masters Jack Ketchum and Ramsey Campbell, and many more top genre writers—among them winners of Nebula, Hugo, Edgar, and Bram Stoker awards. I had a very interesting conversation with the late great Jack Ketchum, who Stephen King referred to as “the scariest man in America”, at the Center for Fiction in New York in April, 2014. Now Write! 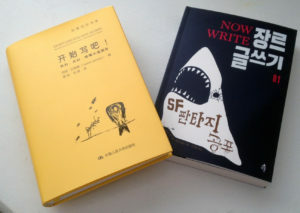 Science Fiction, Fantasy, and Horror is available in Chinese and Korean. Visit the Now Write! Facebook page and Now Write! website for news, updates and to check out the other books in the Now Write! series. Available at bookstores and on-line at Penguin Random House, Barnes & Noble, Powell’s and Amazon.